- What are you going to store? If the items are large or oddly shaped, you'll want to measure as best you can to know what the smallest size container you can fit the item in to. If it's something heavy, get the smallest size bin possible, so it's not impossible to move. If it's something you don't want damaged by moisture, make sure your container can be sealed; you may also want archival quality for special items. - Where are you going to store it? On the floor? A shelf? Should it be long and flat to fit under a bed? If there is a particular area you'd like to keep the item(s), then measure that space as well. How much height between shelves and how deep from front to back will help determine the size of container you can easily use. - What shape should you use? 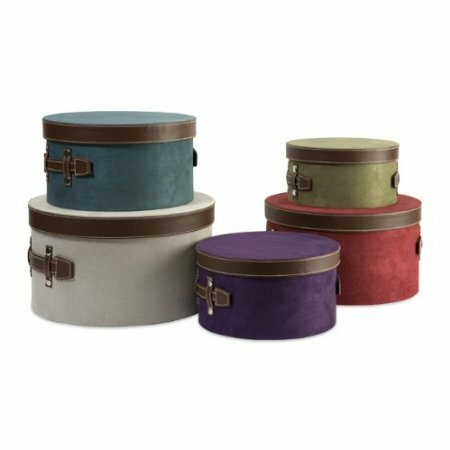 Sometimes items call for a particular shaped container - a hat in a hat box, for example. For general purpose storage, try to use containers with squared corners. Rounded edges leave small, unused spaces on the shelf. Use as much of that area as you can! - Do you want to see what's in there? If so, purchase clear containers. Otherwise, there are tons of options available for colors, fabrics, and so on for any and all storage needs.